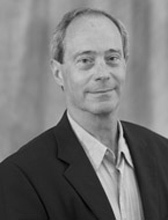 Clark McCauley is Professor of Psychology and Co-Director of the Solomon Asch Center for Study of Ethnopolitical Conflict at Bryn Mawr College. He received his Ph.D. in social psychology from the University of Pennsylvania in 1970. His research interests include stereotypes, group identification, group dynamics, and intergroup conflict; in recent years he has focused on the psychological foundations of ethnic conflict, genocide, and terrorism. He is a Lead Investigator of a number of projects for the National Consortium for Study of Terrorism and Responses to Terrorism (NC-START). With Dan Chirot he is author of Why Not Kill Them All? The Logic and Prevention of Mass Political Murder (2006), and with Sophia Moskalenko he is author of Friction: How Radicalization Happens to Them and Us (2011). He is a consultant and reviewer for the Harry Frank Guggenheim Foundation for research on dominance, aggression and violence, and Emeritus Founding Editor of the journal Dynamics of Asymmetric Conflict. David O. Sears Book Award for the best book published in the field of the political psychology of mass politics in 2012: Clark McCauley and Sophia Moskalenko, Friction: How Radicalization Happens to Them and Us. National Consortium for Study of Terrorism and Responses to Terrorism (START): about $700,000 for a variety of research projects relating to political radicalization and terrorism, 2004-present. Time-Sharing Experiments for the Social Sciences (TESS): 8000 respondent-questions, Sep 2006-August 2007; “Grievance, activism, radicalism.” Principal Investigator. James McKeen Cattell Fund, sabbatical award $13,500, 2004-2005; Time-Sharing Experiments for the Social Sciences (TESS): 8000 respondent-questions, Sep 2006-August 2007; “Grievance, activism, radicalism.” Principal Investigator. NIMH: MH57731-01 RO3, $24,529, 1998; "A new measure of minority integration and isolation." Russell Sage Foundation: $24,928; 1997; "The use of diversity training in U.S. colleges and universities." American Psychological Association Scientific Conferences Program: $7403; Stereotype Accuracy Conference, 10-11 June 1994, Bryn Mawr College. Harry Frank Guggenheim Foundation: $11,560; 1989; "Psychology of Men in Combat." NIMH: MH 31266 RO1, $49,976; 1978-1981; "Interpersonal Overload in the City."